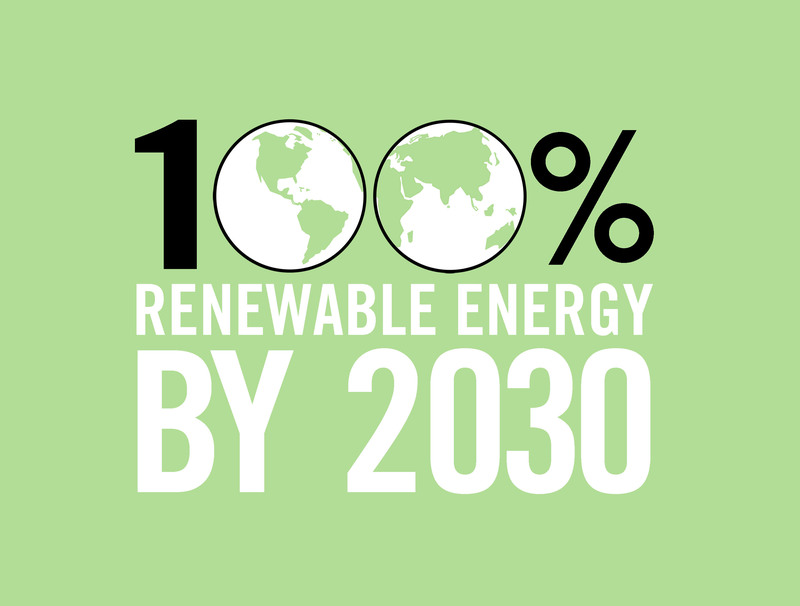 We urge you to commit to transition to 100% clean renewable energy in New York State as fast as is humanly possible. We request that you select a specific target date with appropriate benchmarks and timeline of actions. We would like the opportunity to discuss with you what the State should be doing on climate change. Under your leadership, the state has made significant process in recent years on responding to climate change. Unfortunately, it is nowhere fast enough to avoid climate chaos and catastrophe. The recent disaster from Hurricane Harvey – like Sandy and other prior numerous extreme weather events – underscore the dangers from delay on climate action. Hurricane Harvey flooding has been categorized as a 1000-year event. Two 500-year flooding events occurred in the previous two years. We need a major paradigm shift to deal with the rapidity of these changes. The national platform of the Democratic Party calls for a climate mobilization similar to what we saw in WWII. In the coming decades we need to invest hundreds of billions of dollars in wind, solar, geothermal, tidal, mass transit, regenerative agriculture and energy efficiency. We must halt the use of fossil fuels. Moving to 100% clean energy is the path to full employment and economic prosperity rather than climate catastrophe that threatens humanities’ well-being. We need a climate justice agenda that provides clean energy, improves the public health, creates living wage jobs, promotes energy democracy and targets the most vulnerable communities. We need to ensure full and equitable participation by low and moderate income New Yorkers in our energy future. We look forward to the continued expansion of Community Choice Aggregation to give local residents democratic control over their energy supplies. We applauded your decision in this year’s State of the State to conduct a study of how fast it is scientifically possible to transition to 100% clean energy for electricity, heating and cooling, transportation, and other energy needs. Legislation has been introduced to achieve such a goal by 2030 (A5105, S5908, list of endorsing groups) which we hope you will support. We look forward to world-class study that sets a benchmark for the rest of the world. We encourage your administration to provide funding to ensure adequate participation by leading academics and grassroots climate change organizations. Moving to 100% clean energy (not natural gas, not nuclear, not biomass) also means halting the development of any additional fossil fuel infrastructure, from gas pipelines to compressor stations to power plants to your proposed co-generation projects for the Empire State Plaza in Albany. The state should divest itself from funding of the fossil fuel industry (A3712 / S4596). We need to hold polluters responsible for the damage they have caused and to stop such damage moving forward. We urge that the Offshore Wind (OSW) Master Plan being developed by NYSERDA reflects a goal of obtaining a significant amount (e.g., 40%) of the state’s energy from OSW and that firm commitments are established for the funding and purchase of OSW (e.g., 5,000 MW by 2025 and 10,000 MW by 2030). NY needs to attract the infrastructure investment that makes us the home of the OSW industry in the US. The state also needs to examine the potential for OSW in the Great Lakes. All parts of the state’s energy system need a more ambitious blueprint. We need increased incentives for the development of solar (as opposed to the premature move away from net metering for solar farms). The state should provide the upfront financing to install solar on all public buildings, with the costs recovered through lower energy costs. We need more publicly and community owned renewable energy systems. You should commit to achieving the goals of the Green Jobs – Green NY program to energy retrofit hundreds of thousands of residences while creating living wage jobs. Energy efficiency must become a priority. The state must provide more leadership and assistance (including financial) to local governments in the siting and development of renewable energy. We need major increases in funding for mass transit, staring with the MTA but also to create effective systems throughout the state. Trains, buses, bicycles and walking need to replace cars and trucks as our main forms of transportation. The state should immediately move to a 100% no carbon emission transportation fleet and should establish a short term deadline (10 to 15 years) for all such vehicles in the state. We need to speed up the development of electric recharging stations. We need to overhaul the state’s building codes to create net zero carbon emissions buildings. We need to require energy retrofits of existing buildings. We need to promote heat pumps for cooling and heating along with active and passive solar. We need to effectively confront urban sprawl. Your recent climate executive order directed state agencies to develop action plans by March 2018. Your administration should also produce an overall Climate Action Plan as required by prior EOs starting in 2009. The 2017-18 state budget include some initial investments in regenerative agriculture to put carbon back into the soil. This needs to be significantly expanded. The state must provide leadership in upgrading our food system to deal with changing weather patterns. We support the allocation of 40% of climate funding to meet the needs of our most vulnerable residents, workers and impacted communities. We need to ensure we provide jobs for those presently employed in the fossil fuel industry. We request that your state budget allocates significant dollars to mitigation, adaptation and emergency preparedness. The NYS Energy Plan documented that the State would be spending approximately $10 billion annually from damages associated with climate change by mid-century. Prevention, therefore, must be high on the agenda with appropriate spending levels by involved agencies in order to avoid climate disaster. We looking forwarding to working with you and your administration to have our state at the forefront of the worldwide effort to avoid climate disruption and instead create a brighter future for our children and grandchildren.